During recent preparations for an ascent of Carrauntoohil with my 15 year old son I had a careful look at the accident statistics, the Kerry Mountain Rescue website and so forth to help choose a safe route ( about which more anon). I was surprised to happen upon a YouTube link showing an actual helicopter rescue from Carrauntoohil. According to the supporting text a hillwalker dislocated his knee near the summit and had to be winched to safety. The "lead in" to the short film shows a University of Limerick Outdoor Pursuits Club banner, but who knows if some third party was making mischief? In any event, I presume that the large group appearing in the piece knew that their colleague's life was in no danger because a few of them were in rather good "form". Even so, I personally cringed that there should be such merriment while the rescue services were doing their dangerous work. Perhaps I have forgotten the many follies of my youth. Perhaps fear and excitement go together? I submit the link so that you, the viewer, can form your own judgment, and secondly, because I think that we might occasionally add a further dimension to this wonderful site by uploading our own little mountain movies on YouTube and link into them. Copy and paste this link (into the web address bar): http://www.youtube.com/watch?v=Gt2Mn2ucN6w The subject of the film is almost certainly the same incident as appears on the Kerry Mountain Rescue website: "19th NOV 2005. CARRAUNTOOHIL. RESCUE.Killarney Gardaí alerted the Team following a report that a walker had dislocated his knee on the ridge between Caher and Carrauntoohil, and a full callout was initiated. 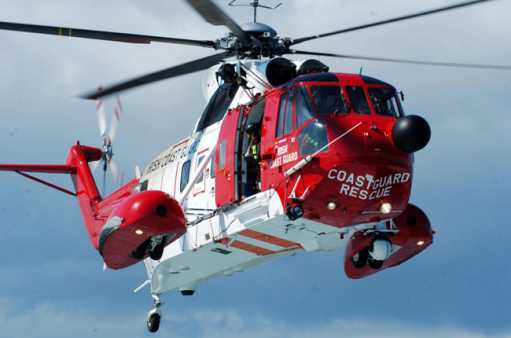 The Team requested the assistance of the Irish Coast Guard helicopter which was able to carry out a successful evacuation of the casualty." One last thought! If anyone reading this knows "Conor" - the young gentleman who was rescued - I would love to hear his personal account of the entire incident. Not too many walkers are winched from Carrauntoohil, and the film has been viewed nearly 12,000 times. His story could make history!